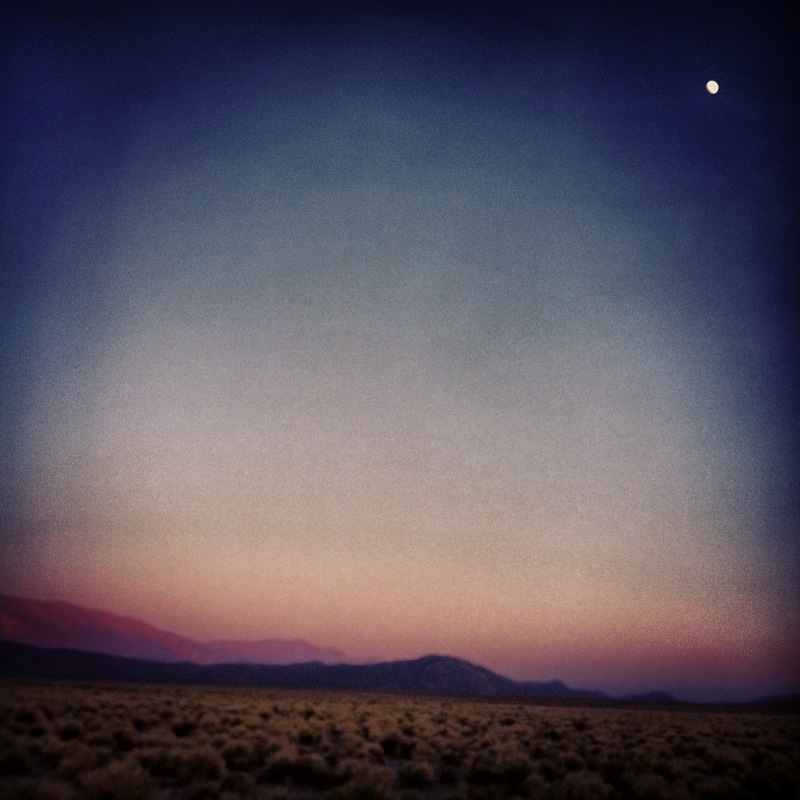 What do we name ourselves as practitioners of archetypal and energetic healing? I use the words shaman and shamanism to refer to myself and my healing practice. These are ancient words for an even older practice that spans virtually all the epochs of human existence. I want to be sensitive to the culture that offers these specific words. I want to be true to the universality of healing practices and use a word that is woven into the web of life. I’ve given a lot of thought to my personal decision, and thought I would share my perspective. The specific forms of healing I have chosen to learn draw from healing practices that are archetypal rather than tribe-specific. I believe that healing and medicine arise both from human experience, and from culturally specific practices (which are also human, of course, but integrally woven into a specific peoples’ lives and stories). Culturally specific practices need to be honored and used only where gifted by a healer from that culture. After a great deal of thought I have chosen to continue to use the word shaman as a descriptor. I have had transpersonal experiences since I was a young child that have lead me specifically to be called to this path and fulfill this calling, and which I honor by engaging in them. On a gut level this word has always resonated with me. Indeed, it is this word that called me to dive in and set upon this path a long time ago in a bookstore where I found Joan Halifax’s book Shamanic Voices calling out to me from the shelf. The word shaman comes from the Tungus-speaking peoples of Siberia. This word began to come into common parlance in the western world in the 1960s when Mircea Iliade and other anthropologists described their observations of the Tungus people’s spiritual and healing practices. There began to be an interest in the western world for healing methods that were based upon ancient—and inherently human—practices that intertwine the human psyche, archetypes, stewardship of the planet, and “non-ordinary” states of consciousness. Personally, it feels to me that a magical door opened in Siberia to a world wracked by two wars that had engulfed the planet and that was hungering for raised consciousness. benefit of healing. In these states the shaman offers him or herself up to Spirit to be guided in healing practices for a particular client and for community. I believe that the healing a client wants and is ready for is available to them, often on a not-so-conscious level, but one that their spirit is prepared for. I am the midwife that helps that birth-into-new-being take place, but ultimately they are the one doing the work, and having to continue to do the work once they go home. I don’t know why this oddball gift was given to me! But it was, and I honor Spirit and my own higher being by using it to the best of my ability. Recently someone asked why I use the word shaman and practice shamanism if I am not an indigenous person. I want to honor the cultural practices of peoples by not claiming them and using them. I also want to honor what has been given to my spirit and heart and hands to do. Medicine woman, midwife of the spirit, healer—these could be names I use (and sometimes I do call myself a Medicine Auntie) but I prefer the word shaman. I have my particular offerings in that regard, which are specific. It would be weird to me for a doctor not to want to call him or herself a doctor. I feel it appropriate to name myself as something and own that, while understanding my specialties and limitations (ie., when to refer to others with different specialities). I thank the Tungus people for this word shaman, and no, I have not personally asked them if I could use this word that is probably pretty sacred to them. I want to continually understand my blinders regarding privilege. And, in a way that I can’t really put into words, that is the word that Spirit wants me to use. So it is in the spirit of universality, and with respect to the Tungus people, and to our huge global village, that I dedicate my practice as a shaman. My ambient-trance album Medicine Songs is NOMINATED FOR AN AWARD! 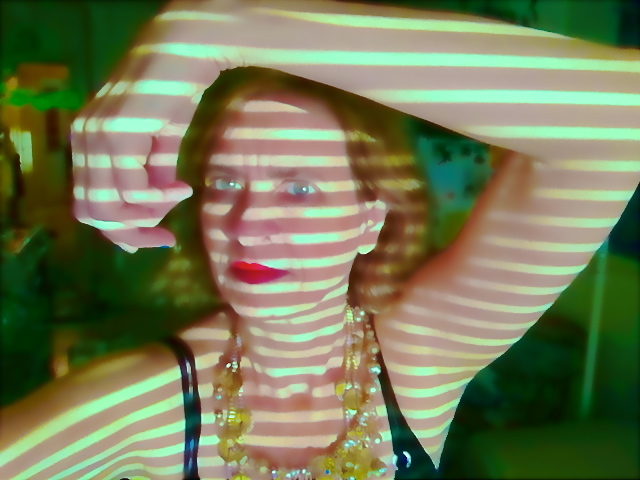 My ambient, trance, journey music project—my CD entitled Medicine Songs by my shaman-singer pseudonym Blue Lilah has been nominated in TWO categories for the upcoming Just Plain Folks Music Awards! Blue Lilah’s music is my offering to you to celebrate yourself in the dance that is the connection of all life. It is a gifting of my music, voice, energy, and sounds for your pleasure. It is my invitation to you, my listeners, to dive into a healing journey. Please use it in whatever forms “move” you!—Dance, meditation, journeying, relaxation, movement exploration, yoga, birthing, healing! Who is Blue Lilah? Imagine being taken on a journey in the dream language of a medicine woman, with luscious percussion, backwards guitar, a whale’s voice, a thunderstorm . . . and that’s just the first song! and provided with a sturdy bridge. and instead was a mess. and further on was his stocking. was compressed into five blocks on either side of the mud. Money changed hands between them at a furious pace. so that the mud covered every flooring in the town. and came to talk about it loudly in the town. Let Me Take You On A Journey! Imagine being taken on a journey in the dream language of a medicine woman, with luscious percussion, backwards guitar, a whale’s voice, a thunderstorm . . . and that’s just the first song! Let Blue Lilah take you with her through sea deeps, windy deserts and wild jungles. She casts her enchanting spell for you from the healing dreamtime! Her magical vocals ride on the rhythms of ancestral drums, gorgeous guitar tendrils and big-heart-beat bass. Your invitation is awaiting . . . join her in an adventure in her wild world! Blue Lilah—enchanting, entrancing: new age-ambient-trance-journey music. Blue Lilah’s music is my offering to you to celebrate yourself in the dance that is the connection of all life. It is a gifting of my music, voice, energy, and sounds for your pleasure. It is my invitation to you, my listeners, to dive into a healing journey. Please use it in whatever forms “move” you!—Dance, meditation, journeying, relaxation, movement exploration, yoga, birthing, healing! The inspiration for Blue Lilah arises out of my many years of exploration in healing work as both practitioner and recipient, as well as being a recording and performing musical artist. By healing, I mean those practices that transform us through awareness into more whole beings. Healing, for me, is the idiosyncratic and courageous willingness to entertain with as much compassion as we can muster all the guests that visit us daily: joy, fear, pain, love, boredom, anger. We heal when we are able to sit at the banquet and honor it all: Savor what is wonderful, weep for what is sad, laugh with delight and then clean up the plates and glasses and get up in the morning and do it all over again: cook, wash the dishes, play, create, work, dream, love—experiencing all of this makes us alive! To fully participate in one’s lived life, I believe that consciousness asks us to simultaneously open heart-and-mind to wider perceptions while at the same time grounding the wide-flung doors to the awesome in divinely practical and magnificently ordinary acts of our bodies: being with the sensations of our bodies, using our hands to help and hold and express, using our legs, arms, muscles and hearts to dance, work, laugh, kiss, and joyously sing. Some of the ways I’ve personally explored healing and transformation as a recipient and as a guide are: shamanic practices, biodynamic cranial-sacral work, Jungian and archetypal exploration, energy work, dance, experiential psychotherapy, trauma work, Mind-Body Integration, sand tray, wilderness quests, Continuum movement practices, and lots and lots of Music! I honor the riches I’ve received from all my teachers and all my lineages. They are present in the music I make and I thank them! A “word” about my language in the songs you hear! I am a storyteller. I’ve made poems since I could speak—please check out my blog at kathleendunbarblog.com. In the Blue Lilah project, instead of telling a story with English words, I was drawn to listen in to what tones, vibrations, emotions, and expressions wanted to be sung, and to channel the Sounds themselves into the story they wanted to tell. Using such a “language” you are free to intuit your own meanings and bring your own associations. I want you, my listeners, to make up your own stories to what you hear, so that you are drawn in to your own discoveries and explorations. The songs are deliberately long enough for a hearty journey. The “songs” came to me in a variety of ways. There were nights at home at 1:00 A.M. pouring out my numerous voices into Garageband as a rough draft, later working it out and practicing with my little Oxygen keyboard, and finally polishing it up in the studio. Other sections are inspired live jams in the studio with my awesome multi-instrumentalist producer and guitarist, Gawain Mathews. His creative hand is, literally, in all the instruments you hear: guitars, bass, drums, keyboards, shakers. In this particular album he makes his debut at professionally whistling into bottles—he enthusiastically granted my whim, filled up a root beer and a fancy water bottle with the right amount of liquid to get two perfectly pitched notes, and “played” the thus-made instrument superbly as accompaniment to my singing. Such inventiveness and humor inform our creative adventures. Being a good sport, before embarking on one new track, Gawain agreed to let me lead him on a guided meditation. He lay comfortably under a soft blanket on the rug in his cozy kitchen as I drummed on my hand drum (which you will hear in the song) and his journey washed him up on a mythical shore where some tribal acoustic folk welcomed him into their musical circle. He was happy to join them, provided they allowed him to play his electric guitar, and do it his way. It is our good fortune that they agreed. At the end of Gawain’s journey we had a proper cup of tea (he is British, and so are my grandparents) and embarked on the song, Medicine Journey. Go spirits! Gawain and I have known one another through many years of musical adventures in another genre. This album is my dive into my inner world to manifest it for you all and take you with me on my musical adventure. Gawain is a prolific producer, multi-instrumentalist, dear friend, amazing musician, and not surprisingly, the current guitarist for the touring Mickey Hart Band. Another “back story.” The few words I use in “English” that begin Who Holds The Power were given to me in a dream when I was in my mid-twenties—I awoke remembering the words, and also the invitation that came with them—I knew the verses were a riddle and an answer to the riddle, though the meaning was deliciously elusive and has been a guide to me to dive further into myself to understand it. The riddle for me has pointed to a way of life, a work in progress, a trajectory for Kathleen! I invite you to dive into your own riddle and all the wonderful messiness, high artistry, and joy of living that is wonderfully, idiosyncratically you. Why Blue? 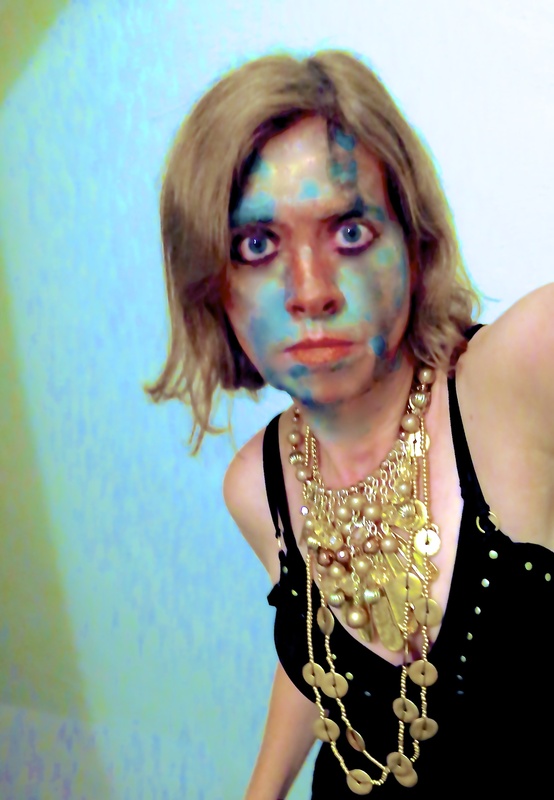 My ancestors were The Blue People—the Picts and Scots who painted themselves blue. I have been known to be blue from head to toe, inviting my friends to celebrations at Ocean Beach. I did this “back when”—I was blue way before The Blue Man Group and Avatar got popular. The smile on my mouth right now is the beautiful flower of the feeling I have in gifting you with these songs. 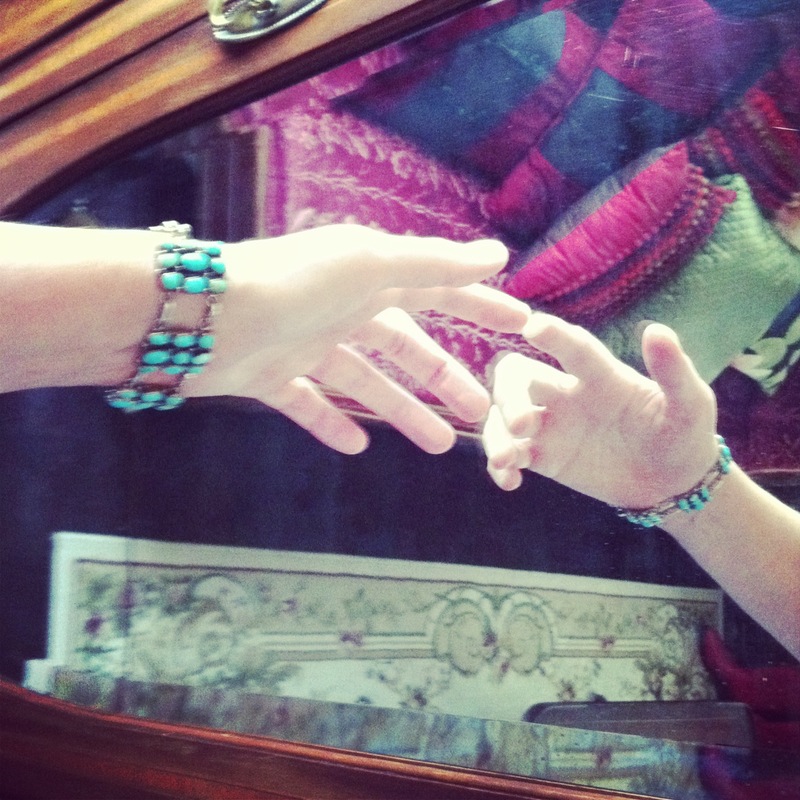 It is the expression of my beating heart, my breathing lungs, my outstretched hand. It is strengthened by love, watered by tears, nurtured by touch, deepened with receiving, and widened by giving. Here, my loves, is an offering of my songs for you to journey with into the ever-creative expression of yourself in this wild life! Big Thanks to the Dinee People!—A Visualization to Blow Your Mind! Here’s a peek into my “Day Job” (which I love!) as an experiential psychotherapist! I came upon this extraordinary piece of “medicine” in Joseph Campbell’s Hero With A Thousand Faces. This “poem” is an utter gem from a longer healing work and very sacred story of the Dinee (Navajo) People. I began to use it as part of my spiritual practice. I’d do my usual going inside into a meditative state while listening to music (I am, after all, a musician, and music is a main vehicle for me to meditate). And then I’d ever-so-slowly inwardly repeat the medicine poem. From the first time I’ve done this, I’ve always had extraordinary experiences—profound expansion, groundedness, peace, awe at life, delight, love. My body released its aches as I felt nourished by a deep sense of aliveness flowing through me. I begin, “In this poem the Dinee use the word ‘pollen.’ For them, pollen isn’t the make-you-sneeze stuff. For them, pollen is the life source, and the pollen path is the path to the center. Pollen for them is corn pollen, and it has a very sacred story. . .
“. . . Let yourself imagine a field of corn, tended by the people of the village. When the people see the corn, they see an amazing story, for corn is one plant that needs human hands to help it grow. In fact, corn will die without humans to help it. If a corn cob falls into a field the kernels cannot make it through the tough husk to resprout—they need to be taken by human hands and planted. Long ago corn did not have the shape it does today, it was small and wild, and in order to feed the people, they learned how to bring the corn to the form we know now. The Dinee people see the growing of corn as a pact between the human and the divine. The source of life shows up in the corn, but it must be tended to by human hands in order to be used . . .
“. . . So the people of the village are alive with this amazing gift. In the corn they find the magical bridge between oneness and diversity, between the sublime extraordinary and the magnificent ordinary. It’s the story of the connection of infinite and finite. It’s the sacred dance of oneness and duality. For the Dinee, the life source gives the people the food to feed them, and the people receive it and use their hands and wisdom to plant and harvest. But it’s much more than that—it’s the story of the creation and life, and a way of right relationship with all things. It’s a lived acknowledgement of the kind of partnership that makes a deeply lived life possible. The symbol of this partnership is the pollen of the corn, where it all happens. The Dinee always save the corn pollen and use it in ceremony . . .
“. . . Let yourself see the people of the village gathering the corn pollen, and how in their hands they gather the meeting of the divine and the human. They celebrate a sacred event where life force manifests its connection with the earthly. The divine and the human come together, not only to feed the people of the village, but to nourish their spirits with the great sacred story of life. . .
Then I invite the client to take a few deep breaths, settle into their chair, and give me a nod when they are ready. I then, really slowly, recite the poem several times . . . and wait. Put your feet down with pollen. Put your hands down with pollen. Put your head down with pollen. I am always astonished at the response this poem evokes! 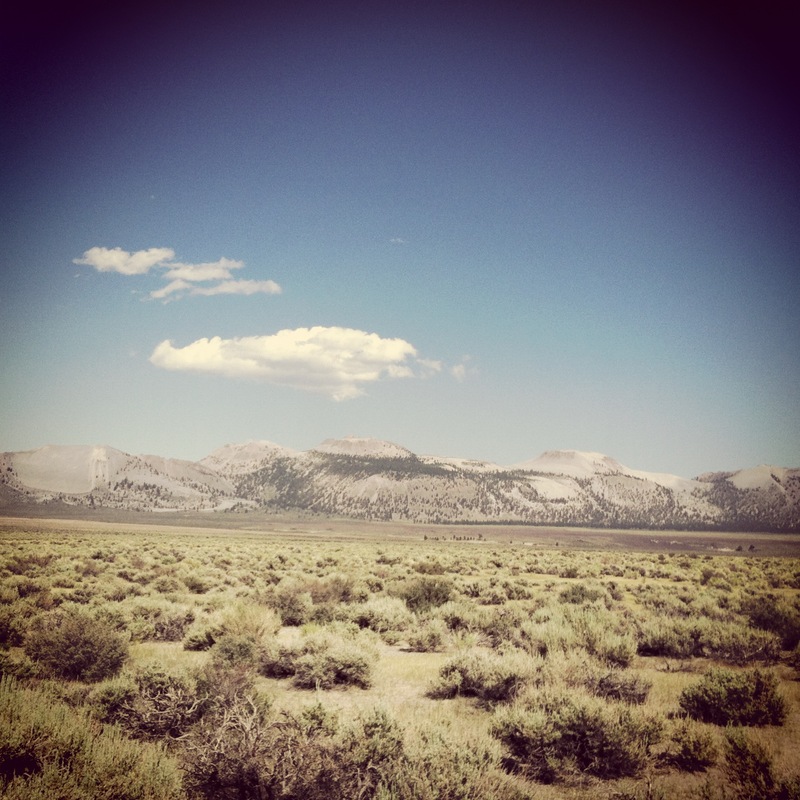 Clients experience a profound, grounding, uplifting, expanding access to the Self connected to the Web of Life. It is always extraordinary and lasting—something we often refer to in future sessions. For one client it was a deep turning point in the therapy. As a variation, after I speak about the pollen, I put on some trippy music, let the client listen for a while, and begin to repeat the poem several times while the music is playing, letting the effects of the poem and the music take the listener on a journey. 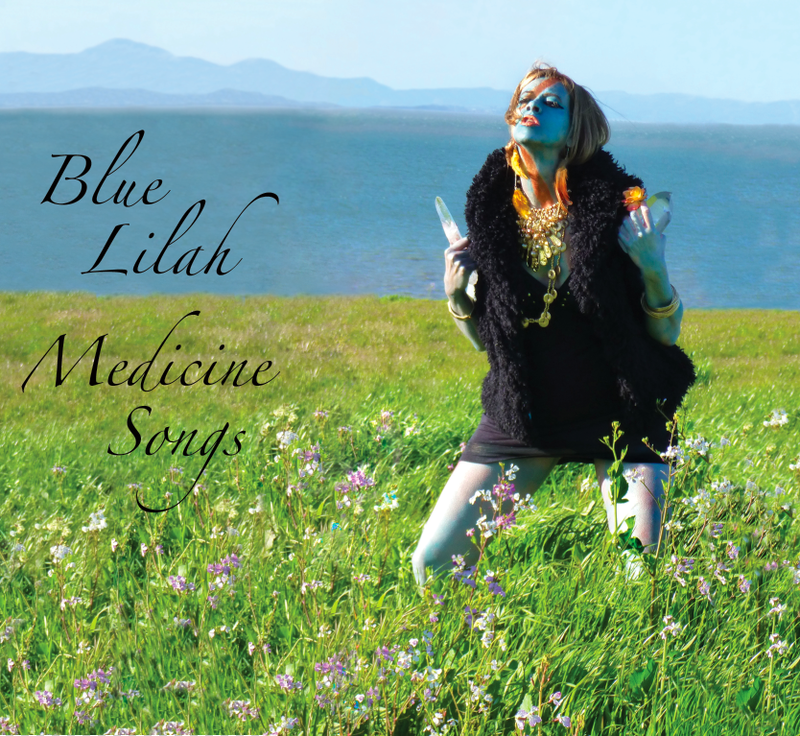 Let Blue Lilah Take You On A Luscious Musical Journey! This Saturday, April 6, Kathleen performs live at Heart Tribe in Fairfax, CA at 7pm! Dive Deeper into my New CD “Liars, Cutthroats and Dames.” The Back Story behind my song “Circus.” Get a FREE SONG DOWNLOAD! I had a Fabulous time singing and performing my original songs at the lovely Lili’s Heart Tribe in Fairfax last night! Thank you Lili for your love and support of my music. You are a wonderful spirit! © Kathleen Dunbar and www.kathleendunbarblog.com, 2019. Unauthorized use and/or duplication of this material without express and written permission from this blog’s author and/or owner is strictly prohibited. Excerpts and links may be used, provided that full and clear credit is given to Kathleen Dunbar and www.kathleendunbarblog.com with appropriate and specific direction to the original content.